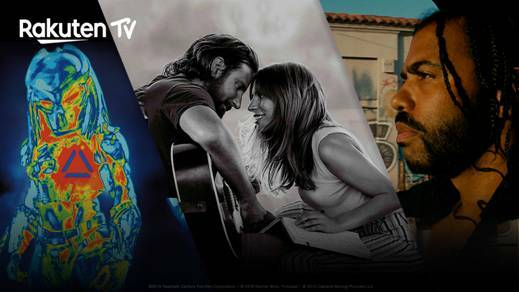 Smash-hits A Star is Born, Venom, and Crazy Rich Asians all heading to Rakuten TV this month! There’s some absolutely huge top titles coming to Rakuten TV, as they help to kick-start your 2019, with the best in filmed entertainment at the click of a button on your Smart TV this month! You can also join Academy-award winner Michael Caine, Blake Lively and Daveed Diggs for thrilling crime dramas King of Thieves, A Simple Favour and Blindspotting to keep you gripped through the cold January evenings. For comedy fans, you’ve got Jack Black back in the family fantasy The House with a Clock in its Walls, Kevin Hart becomes a student again in Night School and everyone’s favourite dysfunctional British spy is trying to save the country in Johnny English Strikes Again. Tags: A Star Is Born, Blindspotting, Crazy Rich Asians, Home Entertainment, Mile 22, Rakuten TV, Streaming, The House with a Clock in its Walls, The Predator, Venom. Bookmark the permalink. Previous post ← All the details: Overlord comes to 4K UHD, Blu-ray and DVD on March 11!